These are true blue, rubber band riding displacement hulls, for the 6’6 and under set. They have no set template or rocker- each board is an individual, like the folks who ride ‘em, tuned from the length and rocker up, but all ride like... well, like a rubber band. 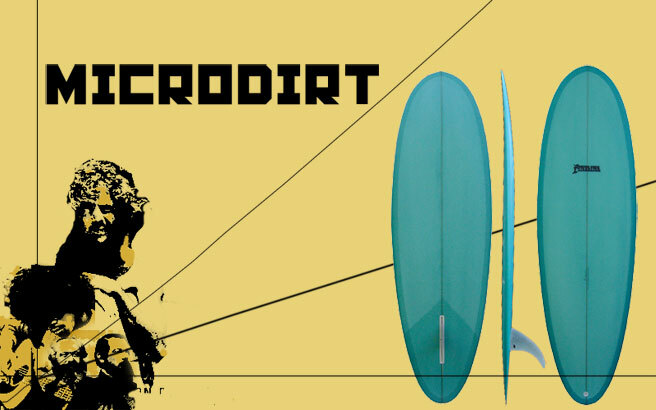 This is one of the 6’3 and up styles; a good beachy stub, but a little boggy shorter, or on slower waves. Most shorter boards have wider tails, in between 16 & 16 1/2”. All come with a flex fin that’s right for the individual board.